The Children’s House program features multi-age classrooms for children from 3 to 6 years old. Children spend three years in the same classroom, which allows them to get to know each other and their teachers very well making for a strong and supportive classroom community. 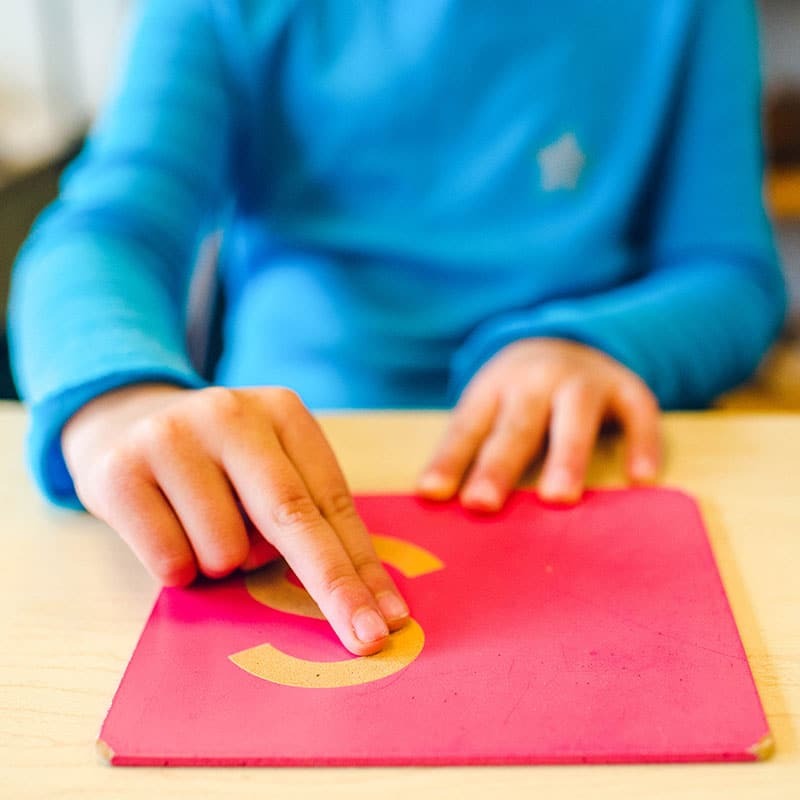 The 3-6 year old goes through what Maria Montessori called the “sensitive periods.” These periods are windows of opportunity during which children are developmentally primed and intrinsically motivated to acquire certain abilities and learn certain skills. 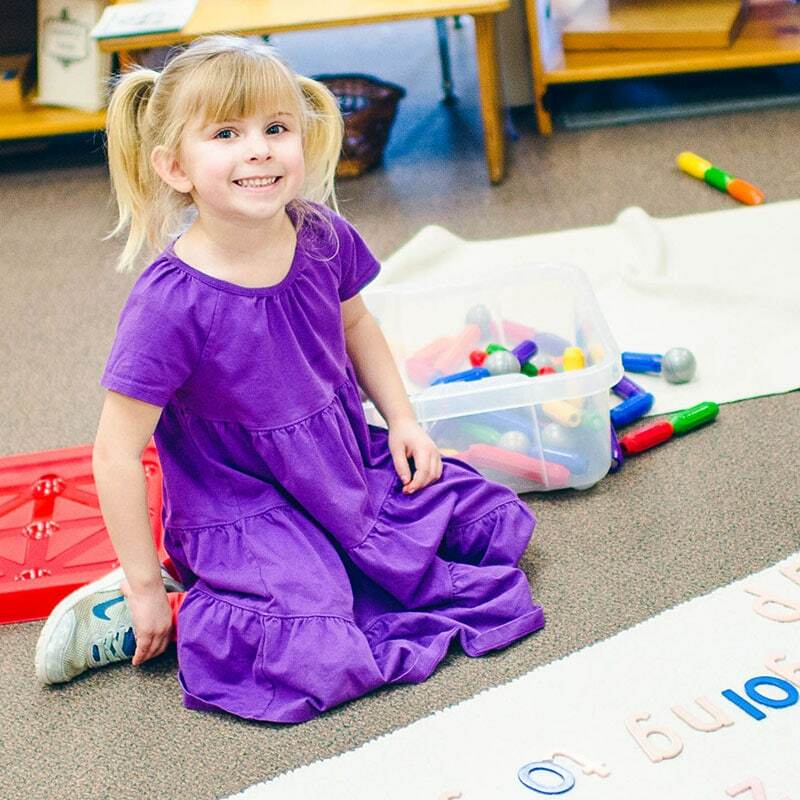 They include the development of more refined gross and fine motor skills, a transition to cooperative play, increasingly complex social interactions, an explosion of language skills leading to the beginnings of reading and writing, and the emergence of number sense which builds the foundation for mathematics. At these times, experiences are more likely to have a greater impact on certain areas of brain development. 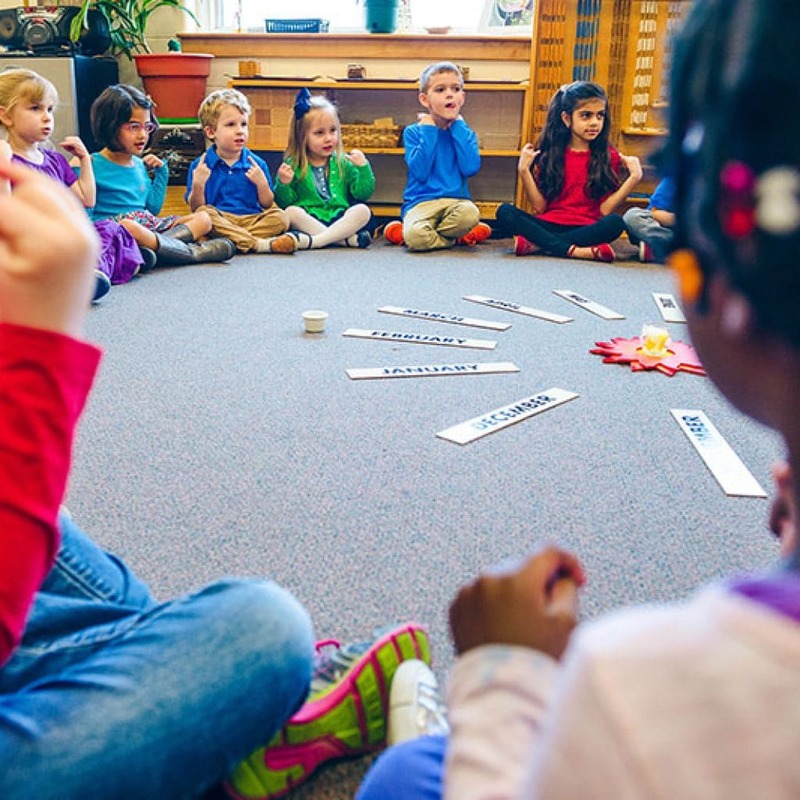 Montessori teachers’ understanding of these sensitive periods allows them to prepare the environment and give lessons to optimally support children’s physical, emotional, social and cognitive development. 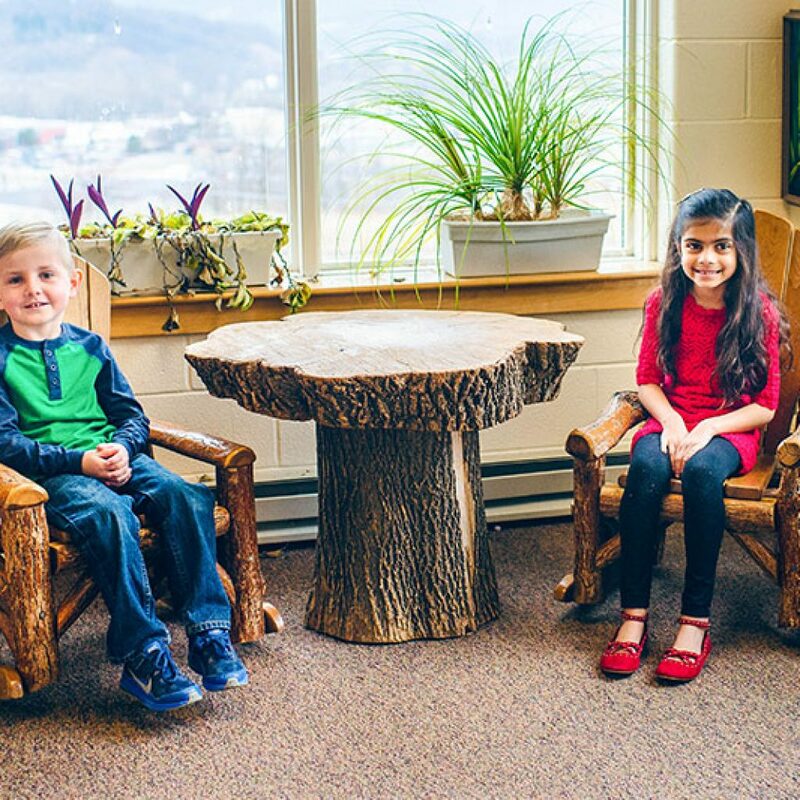 Montessori education nurtures children’s learning and development through the use of concrete, self-directed materials, movement, and engagement and collaboration with peers. 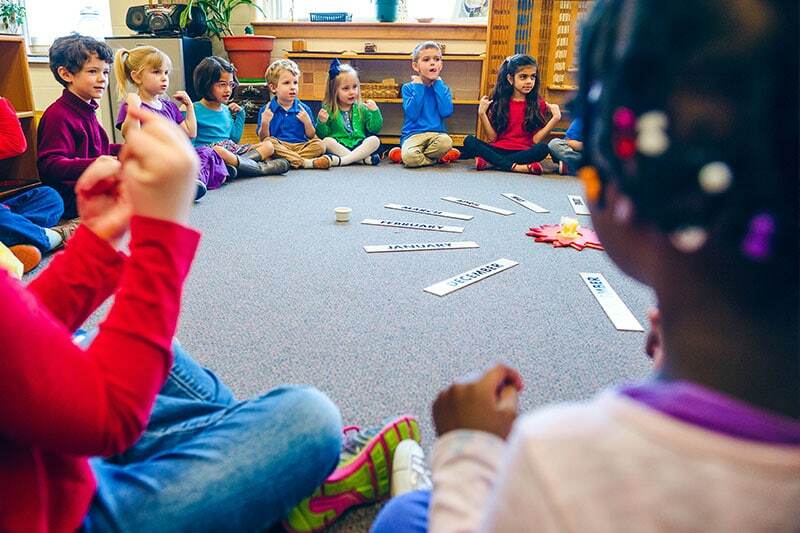 Using careful observation of each child’s unique developmental level and interests, teachers provide children with individualized lesson plans and guide them through the curriculum, introducing lessons when appropriate and then allowing them to practice what they have learned. 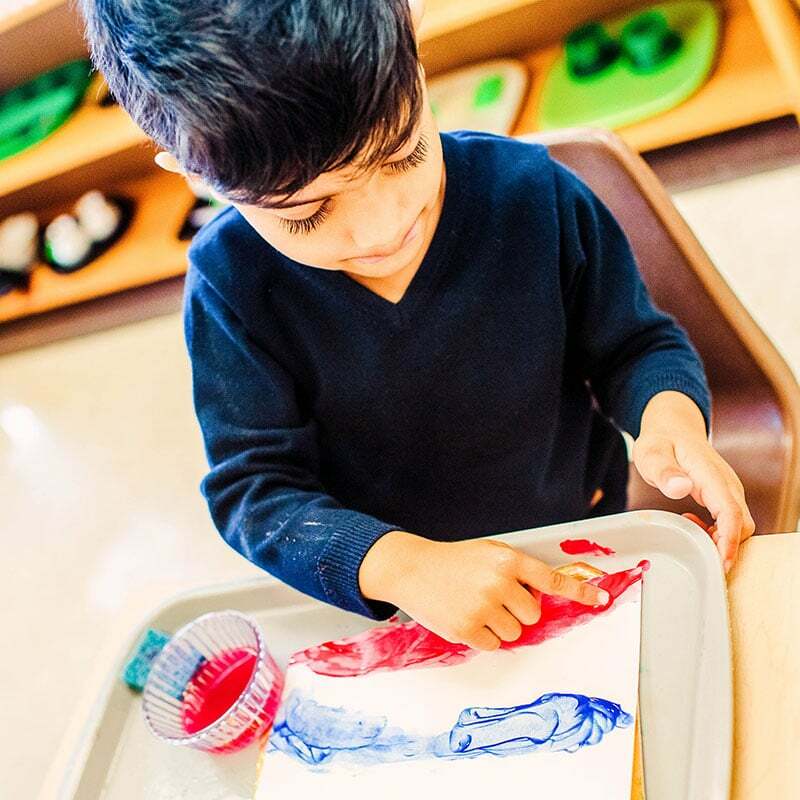 As children grow, they use the specially-designed materials to explore the curriculum in new and deeper ways. 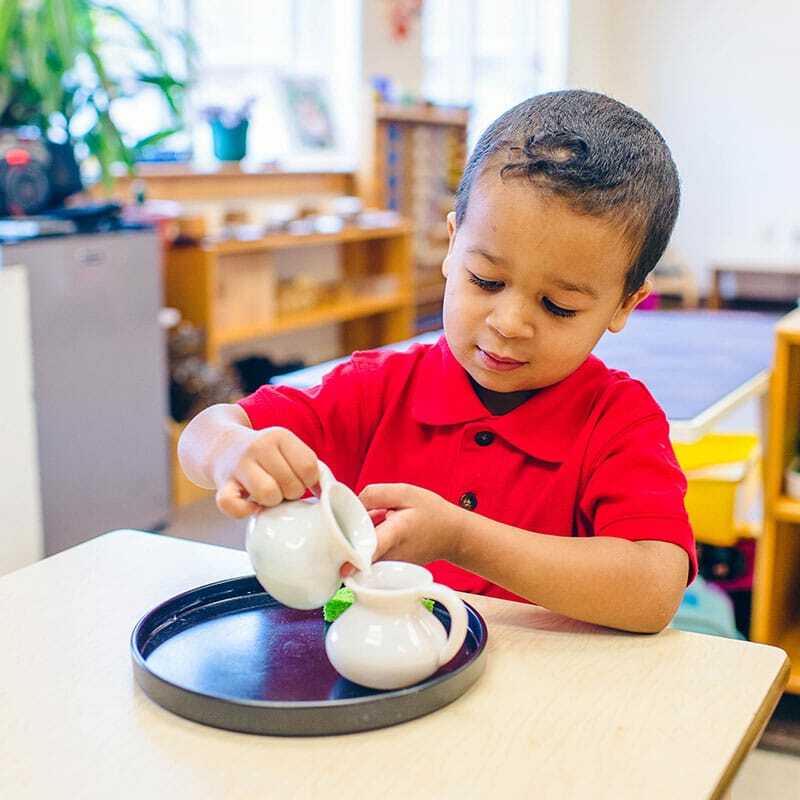 Because young children absorb and begin to understand their environment through using all of their senses, the Montessori classroom provides children with a wide range of sensory materials and experiences. This “refining of the senses” helps children to use these most natural of learning tools effectively. 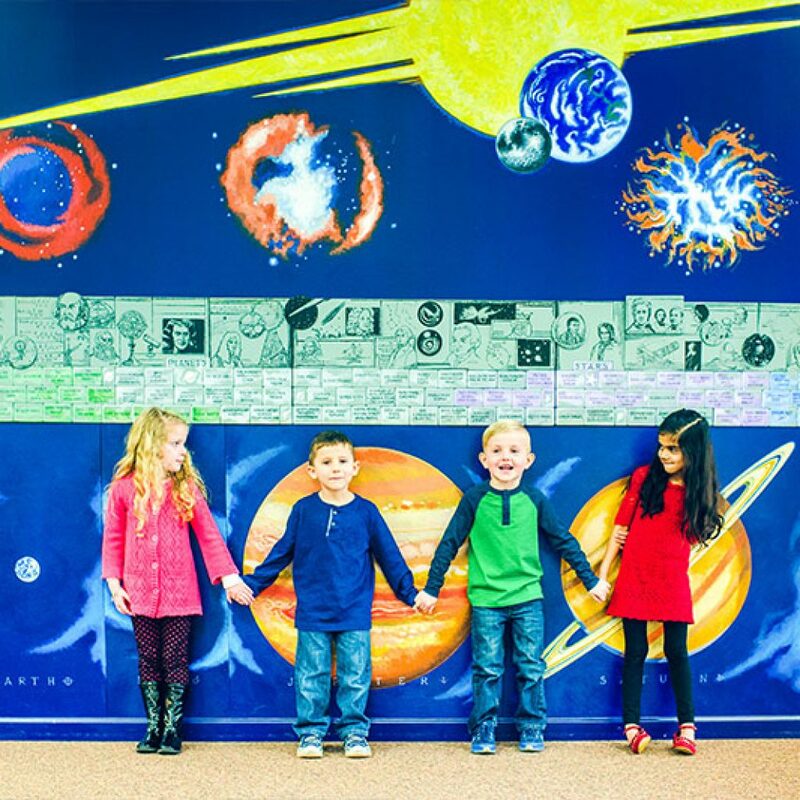 Kindergarten, the culminating year of the Children’s House cycle, provides an extraordinary opportunity for 5-6 year-olds to develop leadership skills. 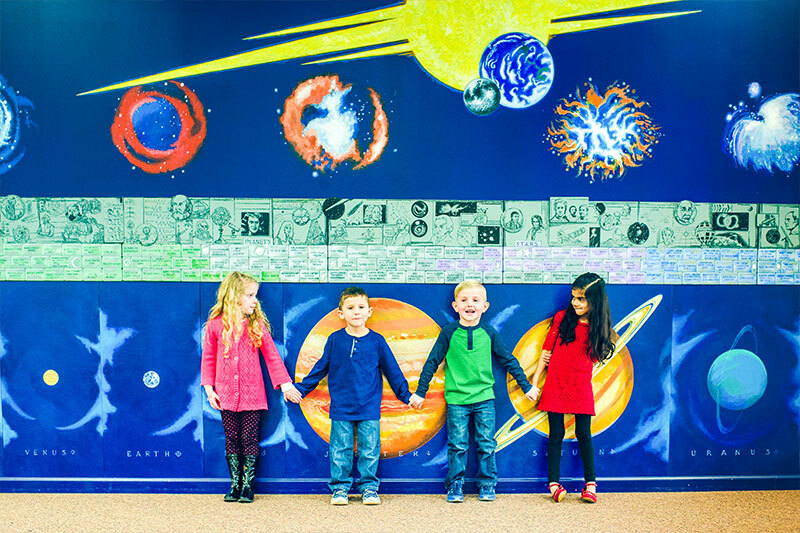 Kindergartners act as role models for their younger classmates as they take responsibility for themselves and their environment, work collaboratively with their peers, and help younger children with tasks and the use of materials. This leadership role promotes children’s deeper understanding of social and academic concepts and skills and gives them the confidence to meet new challenges. It is truly a year of extraordinary growth and development. In addition, Kindergarten children participate in special classes such as Art, Library, Music, and Physical Education. They also take part in activities such as lunch in the cafeteria, field trips, and participation in an end-of-the-year musical performance. A resource developed in 2012 to assist Montessori schools with the task of recording keeping, Transparent Classroom has quickly become a way for parents to get the answer to that age-old question, “What did you do in school today?” It gives them access to a list of lessons their child has received, links to what materials were used, what they were taught, and even how they can help at home. Penn-Mont has begun using this resource in our Children’s House classrooms. One of the fun features is uploading classroom pictures so parents can see their child in action! 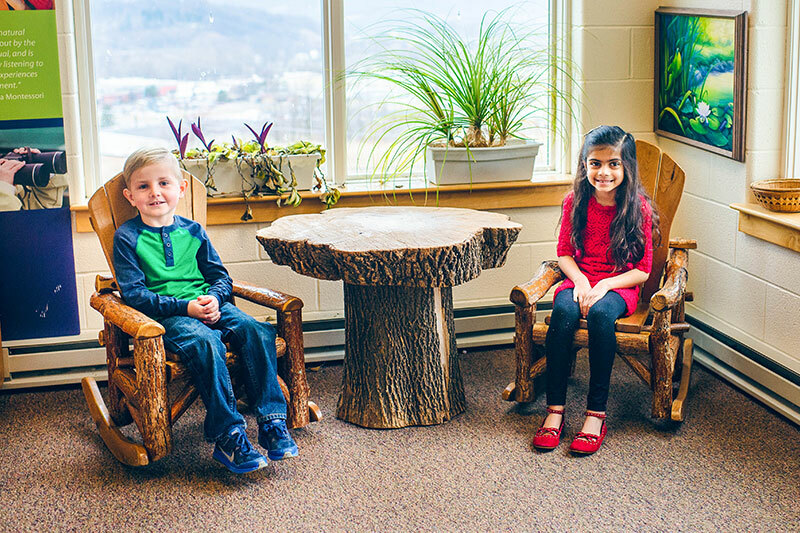 If you are a Penn-Mont Children’s House parent and have not received your invitation to join Transparent Classroom, please contact your child’s teacher. Click here to login: Transparent Classroom.